As cities are getting denser, people are forced to live in smaller apartments and start sharing resources. Smart sharing economy is an emerging trend which enables people to get access to resources and services they need in daily life. 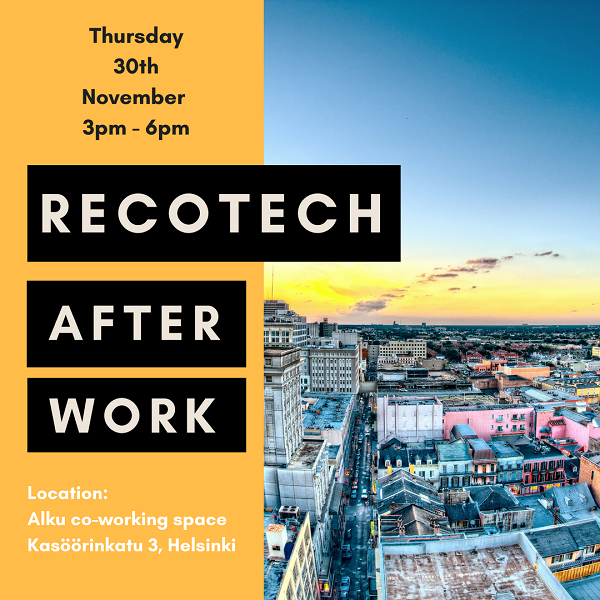 Continue the discussions at ReCoTech After Work! We are inviting small and big players in smart city field to get together and bring out new solutions to make living in the cities more sustainable and fun! Not to mention that the real estate sector is one of the least digitalized sector and the market potential is huge – smart living solution are the future! The event is organized by three key startups from the smart city field, Kliffa Innovations, Consight and Autonappi. The meet up is held in an amazing co-working space that used to be an empty office space. 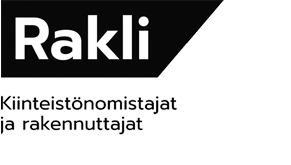 The space is located near Messukeskus, so it’s a convenient place to continue interesting discussions after ReCoTech speed meets! Everyone who is interested in smart city scene is welcome to join and bring new ideas into light!